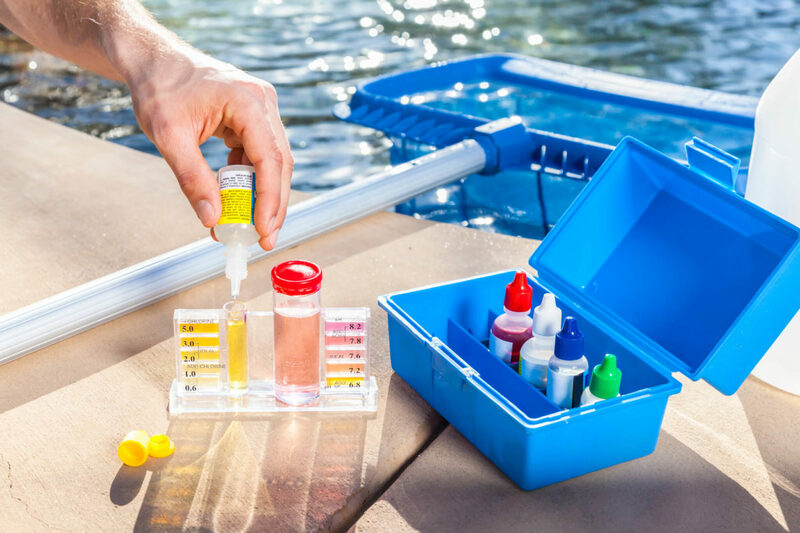 When it comes to pool water testing there are two types of tests that you should consider. One of them can be done at home, with the use of test strips or a testing kit that uses drops. The other one should be done by your local pool professional by bringing in a water sample from your pool. In this article we will share with you when each test should be done to get you one step closer to keeping your pool crystal clear all summer. Doing a water chemistry test at home is pretty straight forward and very simple. All you need to do is follow the instructions that are written on the packaging. If you are one of those people who dislike reading the instructions, *cough* MEN *cough*, then here's a little trick for you guys, when you come in and buy your test kit simply ask our staff and we will gladly clearify the required steps for you. This type of testing should be done once a week giving you a good idea of your chlorine and pH levels. Professional water testing is something that is almost an obligation when owning a pool. We say this because most pool equipement companies will require you to get your water tested regularly to honor most of the product warranties. If your interested in knowing exacly what we test you can read more about it here. The most common question we get about professional water testing is "how often should I test my pool water?" The answer to that is done with two general ideas. The first, you should always get your water tested when opening your pool in the spring time. The second, is a rule of thumb. You should come get your water tested once every 3-4 weeks. By following these two simple rules you could avoid a lot of head-aches and hopefully keep your pool crystal clear.